We are proud to offer dental services at The Wright Center for Community Health Mid Valley Practice. We are conveniently located at 5 South Washington Avenue, Jermyn, PA and are here to serve you five days a week. On March 22, 2019 and April 19, 2019 from 8:30am to 5pm, our dental team will be visting The Wright Center for Community Health South Franklin Street to provide comprehensive exams, x-rays and cleanings to all who need them. Appointments are required for both pop-up clinics and can be made by calling 570-230-0019 or 570-591-5283. Click here to learn more about these upcoming clinics. 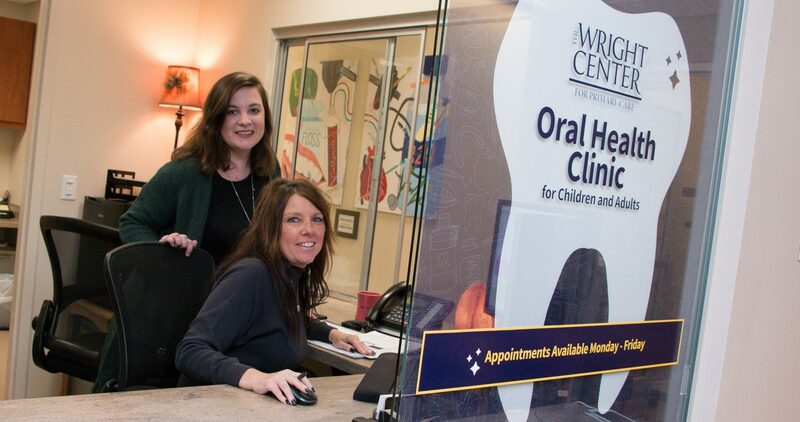 1Why did The Wright Center create an oral health clinic at a primary care office? Being healthy doesn’t start from the neck down. By offering high-quality oral health care within our convenient, primary care setting, more people in our community have been able to easily access important preventative and full-service dental services. 2Why did the clinic get so much larger? Northeast Pennsylvania’s most recent Community Health Needs Assessment (CHNA) revealed oral health services and education as one of the top five regional health areas for concern. In response to this identified health challenge, in 2014 The Wright Center for Primary Care made the decision to offer basic and preventive oral health services on-site within its Mid Valley location. The team, led by dentist Dr. Darleen Oleski, utilized donated, portable equipment to see all patients, regardless of ability to pay, for three years. The need only continued to grow and in 2017, through the generosity of our funders, the Harry and Jeanette Weinberg Foundation and Moses Taylor Foundation, we were able to double our clinical capacity and are now offering a full range of oral health care services to all members of the community.